When to go is a big consideration. New Zealand may look beautiful when covered in snow, but in winter temperatures on the South Island can plummet to a frosty -10°C, so if you’re sleeping in a campervan you’re likely to need extra blankets and a heater, or in the very least a set of thick pyjamas. Driving in snow will slow you down, with some mountain passes impassable, and you’ll need to carry snow chains too. Having said that, there are considerable savings to be made by travelling in the winter months. Conversely, in the December to February summer peak, the weather may be glorious but prices rise and campsites fill up faster, so you’ll need to plan well in advance. 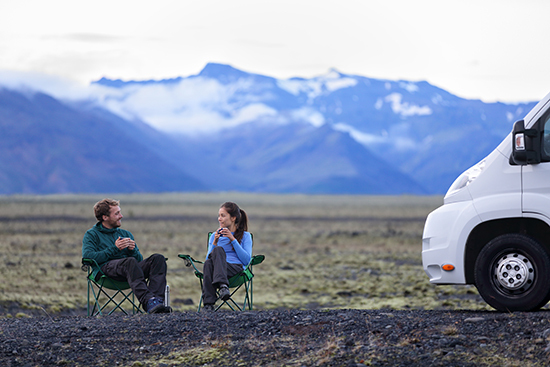 Weigh up the pros and cons – a smaller campervan might be cheaper and easier to manoeuvre, but it will be more space restricted and if you’re tall you may not be able to stand up straight. A larger campervan will be more comfortable, but also more expensive. Similarly, you might nab a bargain by hiring an older vehicle, but bear in mind that the newer, ultra-modern models can be very plush, like an apartment on wheels, and should give far more comfort. You’ll need to decide if you’d prefer a manual or an automatic and, if travelling with children, it’s a good idea to look for vans with three-point seatbelts. It's not the best idea to pick up your campervan straight off the plane. Chances are you’ll have just come off a gruelling 24-hours+ flight from London, so you'll be better off giving yourself a day or two to recover and adjust to your new time zone. It takes time to to get used to a new vehicle, work out what all the controls do and most importantly, see how the toilet works. A couple of days adjusting before picking up the campervan not only means you’ll start your journey refreshed and relaxed, but it will give you time to explore the city you’ve arrived into without paying for a campervan you don't need yet. New Zealand’s scenery is stunning, so you don’t want to whizz past the landscapes and miss something incredible. Plus, many roads are windy and take longer to navigate than you might think. Take your time, plan your route in advance and check the travel times, especially in wet or icy conditions. It’s better to drive in short bursts and arrive at your destinations early – you’ll bag the best camping spots that way and have the rest of the day to explore the area further. 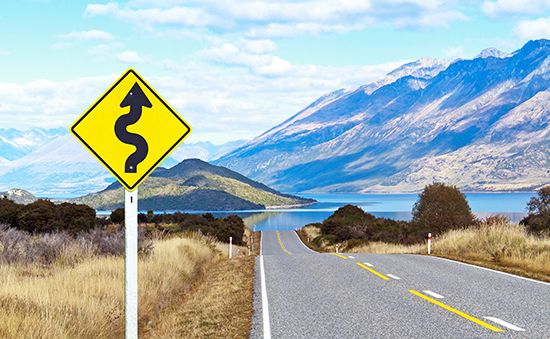 It’s important to familiarise yourself with New Zealand’s road rules, including speed limits. Drive on the left, the same as the UK, and remember that you won’t be able to drive as fast in the larger campervans, so be prepared to pull over and let the faster cars pass you. Note that it is customary to honk your horn to say thank you if someone lets you pass. Beware too that if your campervan doesn’t have a toilet you are not allowed to freedom camp, even if you have a trowel. New Zealanders are very protective of their landscape and if you are caught breaking this rule you will be subject to a NZ$200 fine. Campervanning is great fun, especially in New Zealand, so be sure to relax, breathe the fresh air and admire the natural beauty. You’re not on anyone’s timetable but your own, you’re free to explore at your own pace and camp out in some of the most spectacular landscapes on the planet.